Obitel-España is an Ibero-American Television Observatory focused on the analysis of the production, programming and reception of the contents of Iberian and Latin American fiction (Globo TV). The 2017 yearbook of the Ibero-American Observatory of Television Fiction (Obitel) is the tenth in a series that began in 2007. 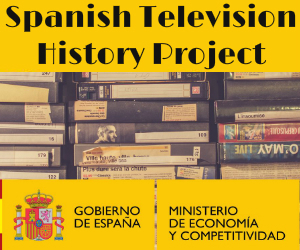 This edition reflects the maturity of a methodology that combines quantitative research with the contextual analysis of television fiction, its processes of transmedia strategies and the analysis of the socio-cultural dynamics of the different participating countries. Obitel is constituted by 12 research groups that carry out the systematic monitoring of the fiction of own production issued in the different chains of each country. The results of this monitoring, presented in the different national reports, are confronted in an introductory chapter, aimed at highlighting the divergences and convergences between them. The yearbook integrates the analysis of the fiction produced and broadcast in each country with a section dedicated to a specific topic. The 2017 Obitel Yearbook is availabe in English, Spanis and Portuguese.